A new Gallup survey showed seven out of 10 U.S. adults believe private schools provide excellent education, receiving far more support than public schools. Public schools ranked last among participants, falling behind home schools, charter schools, church-affiliated schools and private schools in terms of providing excellent K-12 education. Only 44 percent in the survey thought public schools provided a good or excellent job of educating; 71 percent thought the same of private schools. Both Democrats and Republicans ranked private schooling as most effective. Church-affiliated schools also ranked second for both parties. But Republicans ranked public schools last, while Democrats ranked them third, per Gallup. Secretary of Education Betsy DeVos is a proponent of charter schools as an alternative to public schools, UPI reported. Gallup reported this year’s overall ranking of educational institutions is the same as it was in a similar survey in 2012. However, in the past five years, Democrats’ support of charter schools has fallen from 61 percent to 48 percent. Republicans’ support of charter schools has remained steady at 62 percent, per Gallup. There have been many changes in Catholic education in the United States since the first missionary schools were established in the Americas, and among the most significant has been the late-20th century shift to primarily lay Catholic teachers. In recent years, efforts to strengthen the Catholic identity of schools in the United States have prompted measures to reinforce the expectations and formation for teachers in Catholic schools, emphasizing moral qualities in addition to professional competence. The Vatican has consistently recognized that teachers—lay, clerical, or religious—have an essential role in Catholic education and must serve as witnesses to the faith, in both word and deed. This constant appreciation for the role of teachers—of great importance to the Church’s leadership as well as to those parents who enter into a partnership with Catholic schools—is presented in the Church’s magisterial teachings. A review of these teachings provides understanding of the importance of the Catholic teacher and the teacher’s role in fulfilling the mission of the Church by preparing students to live virtuous lives in service to society and the Church. Historically, Catholic identity in schools was strong, as they were administered and staffed by men and women from religious orders, whose professional and spiritual formation created an environment of Christian witness with a program integrated with Gospel values. However, after Vatican II and in the years following, the Church has become increasingly dependent on laity to serve the more than 6,500 Catholic schools in the United States, which educate approximately two million students. There has been a gradual but steady transition away from clergy and religious—now just 2.8 percent of Catholic full-time professional staff, according to the National Catholic Educational Association. In 1982, due to increased reliance on laity to staff Catholic schools, the Sacred Congregation focused special attention on teachers in its document Lay Catholics in Schools: Witnesses to Faith. It seeks to detail the “specific character of their vocation” and presents “a true picture of the laity as an active element, accomplishing an important task for the entire Church through their labour”. The Congregation expanded on the distinctive characteristics of Catholic education in 1988 in The Religious Dimension of Education in a Catholic School, restating, “Prime responsibility for creating this unique Christian school climate rests with the teachers.” Less than ten years later, to address the “crisis of values” in contemporary society, the Congregation issued The Catholic School on the Threshold of the Third Millennium (1997). The document includes the fundamental characteristics of schools necessary to be effective agents for the Church and the need to recruit teachers who are “competent, convinced, and coherent educators” who serve as a reflection of the one Teacher, Jesus Christ. As America entered the twenty-first century, concern over Catholic school closures and waning Catholic identity was addressed by the United States Conference of Catholic Bishops in Renewing Our Commitment to Catholic Elementary and Secondary Schools in the Third Millennium. Noting that ninety-five percent of those working in Catholic school were laity, the Bishops state, “The formation of personnel will allow the Gospel message and the living presence of Jesus to permeate the entire life of the school community and thus be faithful to the evangelizing mission.” The criteria they present for personnel in a Catholic school include being grounded in faith-based culture, being bonded to Christ and the Church, and being witnesses to the faith in both their words and actions. Today, Catholic schools continue to struggle against secularization and moral relativism in every aspect of our society. Laying out plans to celebrate the fiftieth anniversary of the Declaration on Christian Education, Gravissimum Educationis, the Congregation for Catholic Education issued Educating Today and Tomorrow: A Renewing Passion, which describes the impact of contemporary culture as an “educational emergency”. Along with the many issues facing Catholic education—identity, limited means and resources, legal, pastoral—the document discusses the challenge associated with lifelong training of teachers, noting that educators need unity and a willingness to embrace and share a “specific evangelical identity” and “consistent lifestyle”. Supported by these and other magisterial documents, this report explicates the teachings of the Catholic Church summarizing the role of lay Catholic teachers and their qualifications; pedagogical, educational, and cultural goals; relationship to the Church; and Gospel witness. The purpose of the report is to provide an account of the qualities deemed important by the Church for teachers to maintain strong Catholic identity in schools and thereby fulfill the mission of the Church in this apostolate. The findings are organized into five sections based on recurrent themes found in the magisterial teachings describing a Catholic educator. Each summary is written using key phrases from the Church documents, followed by the complete citations to provide a contextual reference. The first section considers the general mission of Catholic education as serving the mission of the Church. Described in the second section is the vocational aspect of the Catholic educator, exploring how an understanding of this role is critical to fulfilling the Church’s mission in education. The third section details the spiritual and professional qualifications required of teachers to effectively impart an authentic Catholic education. Compared to their secular counterparts, teachers in Catholic schools have additional responsibilities associated with the spiritual dimension of their work. Included in this analysis are pedagogical aspects associated with the “harmonious” development of students’ physical, moral, and intellectual talents, integrating Catholicity into subject areas, and ensuring the protection and the dignity of each child. References to professionalism of the Catholic teacher refer to those qualities deemed important to the integral formation of students, summarized within the context of the magisterial teachings. The reader will discover that multidimensional criteria for teaching in a Catholic school surpass the standards typically associated with educational credentialing. Expanding on the spirituality of Catholic educators, section four explores expectations associated with apostolic witness and conduct of an authentic Christian role model. In the formational years, the adage “actions speak louder than words” could not hold more meaning than for those who interact with children and young adults on a day-to-day basis. Magisterial teachings detail the importance of faculty behavior based on Gospel values to prepare students for a life of moral and Christian living. Building on the prior four areas, the fifth section investigates how the blending of instruction, pedagogy, and witness allow for the systematic and critical assimilation of Catholic culture. This culture of conviction, where truth is fundamental in the search for wisdom, freedom, justice, and human dignity, is the foundation by which students learn their responsibilities to God, themselves, each other, and society. A review of documents from the Vatican and the United States Conference of Catholic Bishops provides clarity on the Church’s mission in Catholic education. Catholic education is an expression of the Church’s mission of salvation and an instrument of evangelization. Through its schools, members encounter God, who in Jesus Christ reveals His transforming love and truth. As a faith community, students, parents, and educators, in unity with the Church, give witness to Christ’s loving communion in the Holy Trinity. 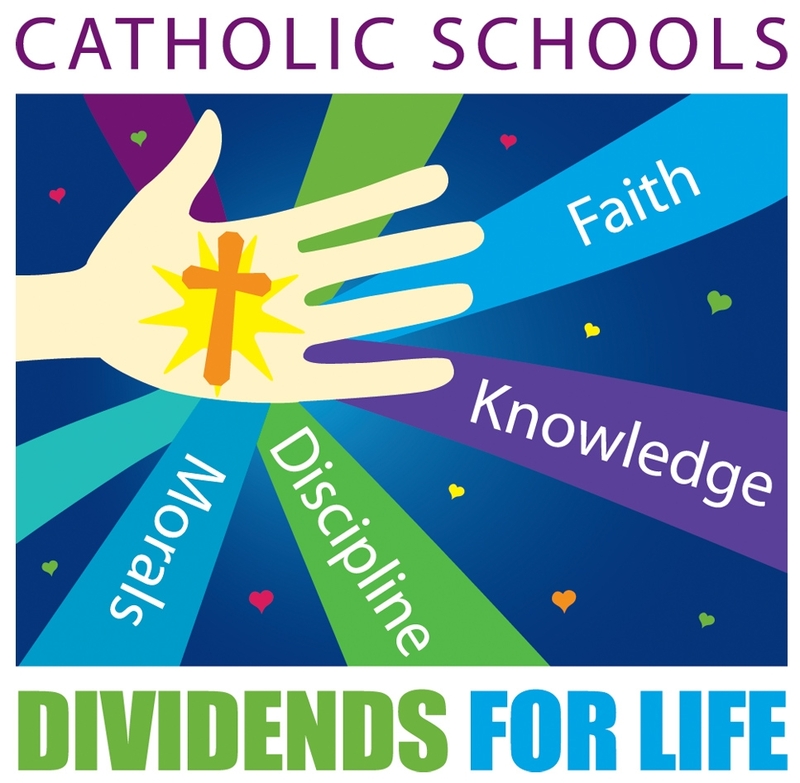 With this Christian vision, Catholic education fulfills its purpose of transmitting culture in the light of faith, integrally forming the human person by developing each student’s physical, moral, spiritual, and intellectual gifts, teaching responsibility and right use of freedom, preparing students to fulfill God’s calling in this world, and attaining the eternal kingdom for which they were created. The Salvific Mission of the Church: In the fullness of time, in His mysterious plan of love, God the Father sent His only Son to begin the Kingdom of God on earth and bring about the spiritual rebirth of mankind. To continue His work of salvation, Jesus Christ founded the Church as a visible organism, living by the power of the Spirit. Moved by the same Spirit, the Church is constantly deepening her awareness of herself and meditating on the mystery of her being and mission. Thus she is ever rediscovering her living relationship with Christ “in order to discover greater light, energy, and joy in fulfilling her mission and determining the best way to ensure that her relationship with humanity is closer and more efficacious”—that humanity of which she is a part and yet so undeniably distinct. Her destiny is to serve humanity until it reaches its fullness in Christ. Evangelization is, therefore, the mission of the Church; that is she must proclaim the good news of salvation to all, generate new creatures in Christ through Baptism, and train them to live knowingly as children of God. What Does It Mean to Be a Catholic Teacher? The Catholic teacher’s vocation is to participate in the saving mission of the Church and to assist in the building of the Body of Christ. The teacher is called by God to work for the sanctification of the world and to communicate truth. The Catholic educator has special qualities of mind and heart and is led by the Spirit and the Gospel to make Christ known to others by a life filled with faith, hope, and charity. Those who oversee Catholic education recognize and depend on teachers to fulfill the goals and programs of the school. Based on its divine mission, it is crucial for teachers in a Catholic school to be prepared to assume the responsibilities associated with both the spiritual and professional dimensions of their ministry in Catholic education. 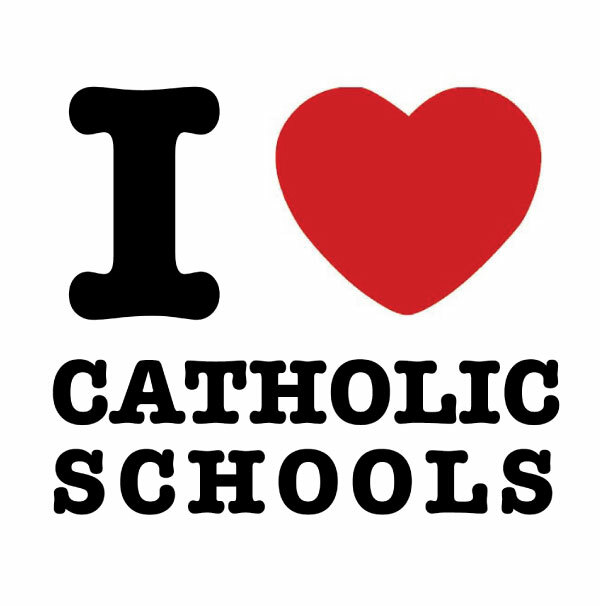 Catholic schools are called on to recruit teachers who are practicing Catholics and who can understand and accept the teachings of the Catholic Church and the moral demands of the Gospel, and contribute to strengthening Catholic identity and apostolic goals. The Catholic educator is entrusted with and shares in the sanctifying and educational mission of the Church. Each teacher must “consciously inspire his or her activity with the Christian concept of the person” in communion with the Church. Participation and active engagement in the liturgical and sacramental life of the school provides a visible manifestation of their faith and commitment. Catholic school personnel are called to be filled with Christian wisdom so as to guide students to Truth. The Catholic educator is challenged to integrate religious truths and values into daily life, both in their private and professional lives, to personally guide and inspire their students into a deeper faith and more profound levels of human knowledge. In a Catholic school, a teacher commits to make integral human formation the heart of the profession, a calling that is enhanced by adequate preparation in both secular and religious knowledge and pedagogical skills. Qualifications for the classroom include creativity, management skills, and the ability to create an effective learning environment in which each student’s gifts and talents are acknowledged and respected. Through the synthesis of faith, culture, and life, the Catholic educator integrates Gospel values into all aspects of the curriculum to demonstrate the relationship between knowledge and truth. Professionalism, within the context of the Catholic teachings, is one of the most important characteristics of the teacher in living out an “ecclesial vocation” and includes preparation and ongoing development in the pedagogical, cultural, and psychological areas of the teacher’s work. Teaching and learning cannot be based solely on a professional relationship but one built on mutual esteem, trust, respect, and friendliness with parents, students, members of school communities, and fellow Catholic educators. The Church relies on those who work in the teaching vocation to fulfill the mission of Catholic education and serve the students entrusted to their care. Teachers are called on in a special way to make the Church present and operative, as through their witness they impart a distinctive character to Catholic schools. The teacher in a Catholic school is deeply motivated to witness to a living encounter with Christ, the unique Teacher, and then live out the school’s values and ideals in word and action. The teacher writes on the “very spirits of human beings,” forming relationships that assume enormous importance as the teacher confronts the problems associated with imparting a Christian vision of the world. Permeated by Christian spirit, the Catholic teacher integrates culture and faith as well as faith and life. The lay teacher in a Catholic school gives a concrete example of what it is to be a Christian living in a secular world. The teacher demonstrates what it is to be an “ideal person” through a habitual attitude of service, a personal commitment to students, a fraternal solidarity with everyone, and living a life that is integrally moral. Living with integrity in a pluralist society, the teacher is a “living mirror” by which those in the school community will see a reflected image of a life inspired by the Gospel. The Catholic educator aims for the critical, systematic transmission of culture in light of faith through the Gospel values conveyed by the Church. Communication must be oriented toward truth to develop in students a deeper level of understanding of what it means to be a responsible human being and cultivate virtues characteristic of a Christian. The Catholic teacher accomplishes this through the synthesis of culture and faith as well as of faith and life. All subjects are integrated and explored in a Christian worldview and from a Christian concept of the human person. It is through Catholic education that students are able to grasp, appreciate, and assimilate the values that will guide them toward “eternal realities.” The Catholic teacher is crucial to this task, for it is through personal contact and the teacher’s “witness to faith,” as revealed through actions, that relationships grow in a dialogue of openness which allows the teacher to make Christ known to students. The Church’s magisterial teachings convey the immense responsibility that teachers assume in the ministry of the Catholic education. In addition to professional qualifications, a Catholic school teacher must have an understanding of and commitment to the Church and be a “living mirror” of Christ by modeling a life inspired by the Gospel. In contemporary society, the challenges associated with imparting a Christian vision of the world, which is often seen as counter-cultural, require Catholic school teachers to be spiritually stable and faithful Christian role models. Concern for the preparation, recruitment, development, and ongoing formation of Catholic teachers is a recurrent theme throughout the magisterial documents. In 2005, the U.S. Conference of Catholic Bishops in Renewing Our Commitment to Catholic Elementary & Secondary Schools in the Third Millennium stated, “The preparation and ongoing formation of teachers is vital if our schools are to remain truly Catholic in all aspects of school life… [to] allow the Gospel message and the living presence of Jesus to permeate the entire life of the school community and thus be faithful to the school’s evangelizing mission.”Reliance on laity to fulfill the educational mission of the Church requires not only teachers who have educational and managerial skills, but also teachers who are spiritually prepared to be witnesses of the faith to their students. With today’s renewed focus on Catholic identity in schools, it is critical to encourage the witness of those who are tasked to impart education that is faithful to the teachings of the Church. In Educating Today and Tomorrow: A Renewing Passion, the Congregation for Catholic Education laments the decline of “believers” among educators and asks, “How can a bond with Jesus Christ be established in this new educational context?” The Church in the United States must recommit to hiring policies that identify teachers who are suited to advancing the mission of Catholic education and to forming teachers as witness of the faith. This is what the magisterial documents expect and what Catholic families deserve. Our hope is that by making the Church’s rich and deep understanding of the role of Catholic teachers accessible to Catholic school leaders as well as the teachers themselves, enhanced discussions, new programs, and clarified expectations will assist in a new springtime of evangelization and a resurgence of Catholic education. Dr. Jamie F. Arthur is a Catholic Education Fellow and Director of the Catholic Education Honor Roll at The Cardinal Newman Society. She has a Ph.D. in educational policy studies and more than 25 years of experience as vice president of a Catholic college-preparatory school, headmaster of a Catholic preschool for disadvantaged children, trustee and co-founder of a foundation for at-risk children, coordinator and teacher for a Catholic middle school, and accreditation chair. Pope Paul VI, Gravissimum Educationis (1965), #8. Sacred Congregation for Catholic Education, The Catholic School (1977), #10. NCEA, United States Catholic Elementary and Secondary School 2014-1015: The Annual Statistical Report on Schools, Enrollment and Staffing. (2015). Retrieved from https://www.ncea.org/data-information/catholic-school-data. Sacred Congregation for Catholic Education, Lay Catholics in Schools: Witnesses to Faith (1982), #5. Congregation for Catholic Education, The Religious Dimension of Education in a Catholic School (1988), #26. Congregation for Catholic Education, The Catholic School on the Threshold of the Third Millennium (1997), #14. United States Conference of Catholic Bishops, Renewing Our Commitment to Catholic Elementary & Secondary Schools in the Third Millennium (2005). Congregation for Catholic Education, Educating Today and Tomorrow: A Renewing Passion (2014), III,1,j. Code of Canon Law, 795. Sacred Congregation for Catholic Education, Lay Catholics in Schools: Witnesses to Faith (1982), #52. 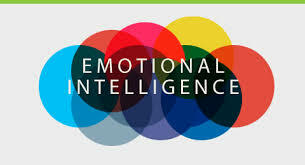 “Teachers and school faculty work day in and day out to ensure that their students are successful, but one measure that some educators often fall short on in evaluations is their ability to develop young people’s emotional intelligence – their ability to identify and manage their own emotions and the emotions of others. Gates, the founder of Microsoft earlier this month, sounded the same warning. Gates took his 34.8 million Twitter followers by the virtual shoulder and said “artificial intelligence” would have a huge impact. In other words, why not join the revolution? After all, that’s exactly what Zuckerberg and Gates did with social media and computer software. Zuckerberg too spoke about finding meaningful jobs and purpose in this new automated economy. “Class of 2017, you are graduating into a world that needs purpose. It’s up to you to create it,” he said, adding, “Taking on big meaningful projects is the first thing we can do to create a world where everyone has a sense of purpose. The second is redefining equality to give everyone the freedom they need to pursue purpose. 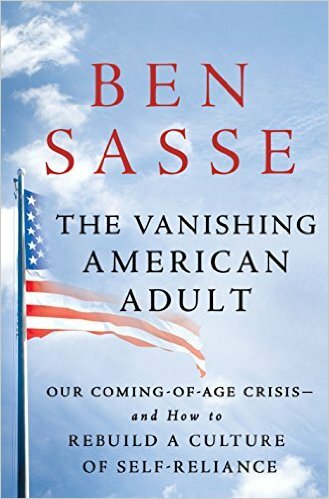 Many of our parents had stable jobs throughout their careers.” Today’s graduates, he said, will need to carve their own path, but have the freedom to fail and to try again. 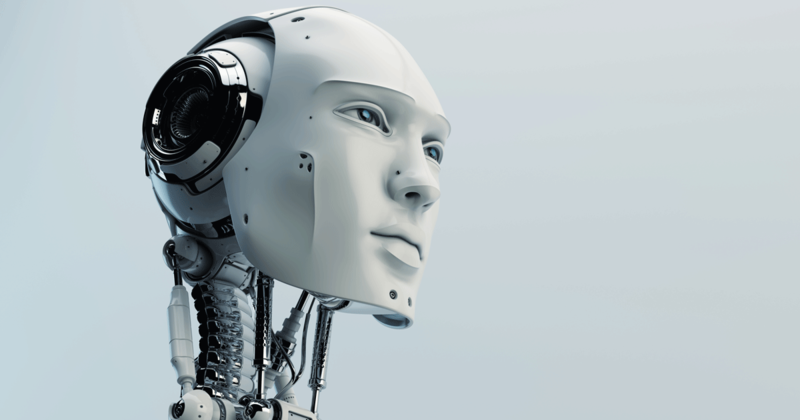 Robots are expected to create 15 million new jobs in the U.S. over the next 10 years, as a direct result of automation and artificial intelligence, equivalent to 10% of the workforce, a recent report by Forrester Research found. The downside: robotics will also kill 25 million jobs over the same period. So in one way Gates is correct. Artificial intelligence and automation is an area undergoing a seismic shift, just like computers did in the 1980s and plastics did 30 years before that, and how people around the world changed how to communicate and share information about themselves (and, yes, data about themselves) 10 years ago. And what field will be hot 50 years from now? Some 65% of Americans expect that within 50 years robots and computers will “definitely” or “probably” do much of the work currently done by humans, according to a survey by the Pew Research Center, a nonprofit think tank in Washington, D.C. Some 38% of jobs in the U.S. are at “high risk” of being replaced by robots and artificial intelligence over the next 15 years, a separate estimate by consulting and accounting firm PwC found, which is still lower than Germany (35%) and the U.K. (30%). Low-paying jobs appear most at risk from robots, economists predict. For those who want to avoid being replaced by robots, a college education will likely help. As MarketWatch previously reported, there’s an 83% chance that automation will replace a job that pays $20 per hour, according to a White House report released last year. It found that there’s only a 31% chance that robots will take over a job that pays between $30 and $40 per hour, and only a 4% chance that automation will replace jobs with an hourly wage over $40. Gates also cited biosciences and energy as a good bet for the Class of 2017. Traditional energy and energy efficiency sectors employ around 6.4 million Americans, according to the 2017 U.S. Energy and Employment Report. These sectors increased in 2016 by around 5% on the previous year and account for roughly 14% of all those created in the country. A job in biosciences are increasing at a rate of 10% per year, the latest report on the industry by the Biotechnology Innovation Organization estimated, and employs nearly 1.7 million people in the U.S.
And Zuckerberg also had some words of wisdom for tomorrow’s entrepreneurs. 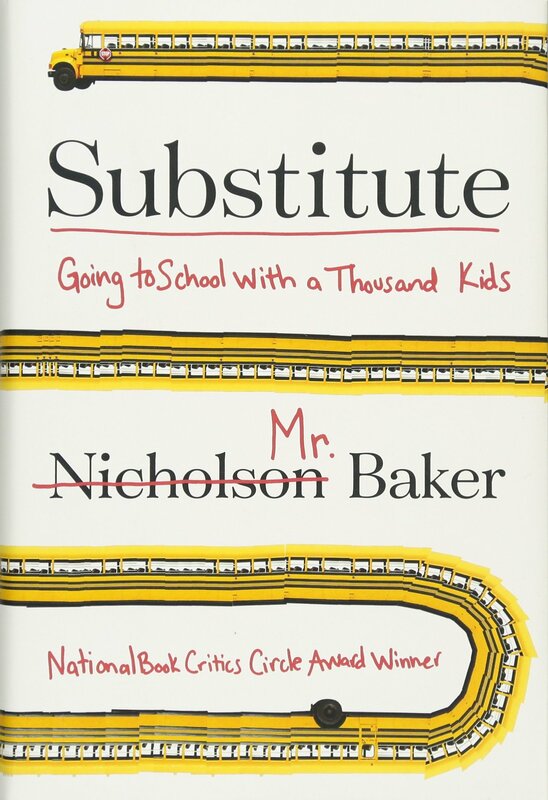 “Substitute teaching has to be education’s toughest job. I’m a veteran teacher, and I won’t do it; it’s just too hard. The role magnifies the profession’s biggest challenges—the low pay, the insufficient time to plan, the ordeals of classroom management—into an experience that borders on soul-crushing. At the same time, the job drains teaching of its chief joy: sustained, meaningful relationships with students. Yet in 2014, some 623,000 Americans answered school districts’ early-morning calls to take on this daunting task. Improbably, among their ranks was Nicholson Baker. Baker calls the worst of the hectoring teachers “paid bullies.” At 700-plus pages, Substitute: Going to School With a Thousand Kids is a surprisingly hefty contribution to the life-of-a-teacher genre, especially given that Baker clocked only 28 days in the classroom—a place he’d love to liberate kids from. (He enjoyed a 1970s school-without-walls progressive education himself. ) 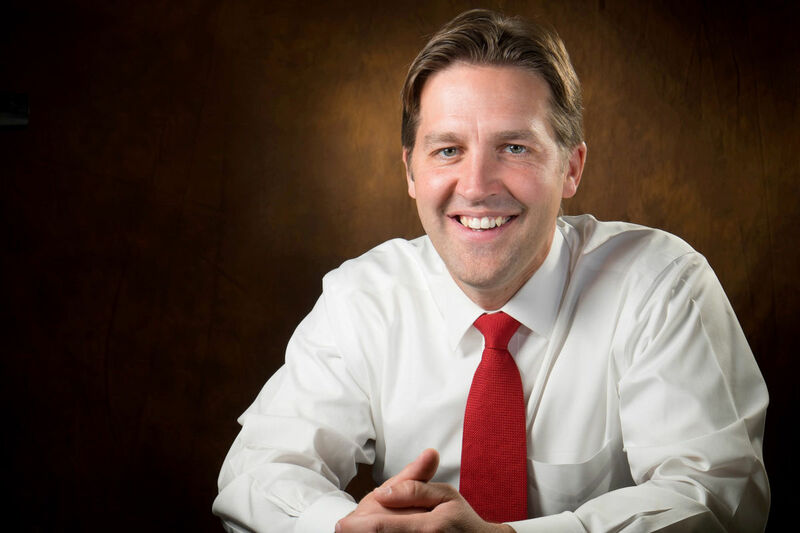 Scattered across three months and six schools, grades K–12, each of those days is chronicled with the moment-by-moment vividness that Baker has made one of his trademarks. In his novel The Mezzanine, for example, he plumbs an office worker’s thoughts during an escalator ride; fireplace rituals receive punctilious attention in A Box of Matches. Well before his teaching stint has ended, Baker the substitute has shifted into saboteur mode—the reporter as mischief-maker. Baker wishes his students could be happy and more carefree. “Students learned more when their first in­struc­tor in a dis­ci­pline was not on the ten­ure track, as com­pared with those whose in­tro­duc­tory pro­fes­sor was tenured, ac­cord­ing to a new pa­per from Northwestern University. The paper, “Are Ten­ure-Track Professors Bet­ter Teachers?,” was re­leased on Mon­day by the National Bureau of Economic Research, and it sheds new light on the hot­ly debat­ed top­ic of whether the in­creased use of ad­junct instructors is help­ing or hin­der­ing stu­dents’ learn­ing. The re­search­ers found “strong and con­sis­tent ev­i­dence that Northwestern fac­ul­ty out­side of the ten­ure sys­tem out­per­form ten­ure track/ten­ured pro­fes­sors in intro­duc­tory undergraduate class­rooms,” wrote Da­vid N. Figlio, director of Northwestern’s Institute for Policy Research; Mor­ton O. Scha­piro, the uni­ver­si­ty’s pres­i­dent; and Kev­in B. So­ter, an as­so­ciate con­sult­ant at an organization called the Great­est Good, which uses economic methods and data analysis to help businesses. They also found that stu­dents who were rel­a­tive­ly less qual­i­fied ac­a­demi­cal­ly fared par­tic­u­lar­ly well when they were taught by fac­ul­ty members out­side the tenure sys­tem, es­pe­cial­ly in courses where high grades were gen­er­al­ly tough­er to earn. Mr. Figlio and his fel­low re­search­ers based their findings on a study of the ac­a­dem­ic per­form­ance of the eight co­horts of freshmen, totaling 15,662 students, who en­tered Northwestern from the fall of 2001 to the fall of 2008. They an­a­lyzed stu­dents who in their first term took, say, an in­tro­duc­tory eco­nom­ics course taught by an un­ten­ured in­struc­tor and an in­tro­duc­tory po­lit­i­cal-sci­ence course led by a pro­fes­sor who was ten­ured or on the ten­ure track. Then the re­search­ers stud­ied what courses the stu­dents took dur­ing their second term: Did they take eco­nom­ics or po­lit­i­cal sci­ence? And how well did they do? The stu­dents were more like­ly to take a second course in a dis­ci­pline if the first had been taught by an un­ten­ured fac­ul­ty mem­ber, and they were more likely to earn a bet­ter grade in the next course com­pared with students whose first course in the dis­ci­pline had been taught by a ten­ured or ten­ure-track pro­fes­sor. The fact that the study was con­duct­ed only on stu­dents at Northwestern makes it both use­ful and lim­it­ed for its broad­er ap­pli­ca­bil­ity. In fact, stu­dents who were de­scribed in the study as less-qual­i­fied ac­a­demi­cal­ly, ac­cord­ing to the five-cat­e­go­ry sys­tem used by Northwestern’s ad­mis­sions office, still posted an av­er­age SAT score of 1316. Indeed, a similar study of students conducted at a less-selective institution yielded less-striking results than Northwestern’s. Matthew M. Chingos, of the Brookings Institution, analyzed 281 sections of algebra taught by 76 unique instructors at Glendale Community College, in California. Students whose sections had been taught by full-time instructors were about four percentage points more likely to earn a C or better on a common final examination than were those whose teachers had been part-timers, instructors whose working conditions more closely mirror those of untenured faculty members elsewhere. But an un­ten­ured fac­ul­ty mem­ber at Northwestern may not look much like the stereotype of a part-time instructor cob­bling to­geth­er teach­ing gigs on mul­ti­ple cam­pus­es. Northwestern’s were gen­er­al­ly well com­pen­sat­ed and en­joyed longstand­ing re­la­tion­ships with the uni­ver­si­ty, said Mr. Figlio. He add­ed that 99.4 per­cent of the un­ten­ured fac­ul­ty mem­bers in the study had taught at Northwestern for at least six quar­ters. 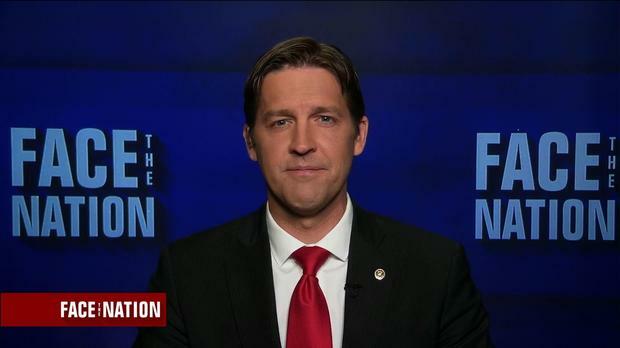 “This is not some­one we’re hir­ing once to fill a gap and then get­ting rid of,” he said. Northwestern’s part-time fac­ul­ty members earn from $4,200 to $7,334 per course, ac­cord­ing to eight re­spon­dents to The Chronicle’s Ad­junct Project, a Web site that crowdsources sal­a­ry data for con­tin­gent fac­ul­ty members. Administrators of colleges where ad­juncts do not enjoy sim­i­lar­ treat­ment “should not say this proves we should re­duce the ten­ure sys­tem,” said Mr. Figlio. In­stead, he and his fel­low authors wrote, the re­sults of­fer ev­i­dence that des­ig­nat­ing full-time fac­ul­ty members to fo­cus chief­ly on teach­ing, par­tic­u­lar­ly at research-in­ten­sive uni­ver­si­ties like Northwestern, may not be the cause for alarm that many see. It may even improve students’ learning. “Physics, as champions of the subject will remind you, is the cornerstone of many professions, including those in engineering, health care, aerospace, and architecture. And for students hoping to pursue those and other science, technology, engineering, and math fields during college, getting a jump on physics during high school is all but a requirement. Yet, across the country, 2 in 5 high schools don’t offer physics, according to an Education Week Research Center analysis of data from the U.S. Department of Education’s office for civil rights. The numbers are worse in some states than others: In both Alaska and Oklahoma, about 70 percent of high schools don’t offer the course. Florida and Utah are close behind, with nearly 60 percent of high schools lacking physics. Iowa, New Hampshire, and Maine do much better, with only about 15 percent of schools not offering the subject. A closer look shows that the problem is associated with school size: Nationally, the high schools that offer physics have an average of about 880 students. Those that don’t offer it enroll an average of just 270 students. “When you have graduating classes of less than 80 to 100 kids, sometimes you have to make decisions in terms of what licensure you have teachers come in at,” said Doug Paulson, the STEM specialist for the education department in Minnesota, where about half of high schools have physics. According to Jim Bradshaw, a spokesman for the federal Education Department, schools were allowed to include virtual courses in reporting to the federal government whether they offer physics, but it’s unclear whether schools did so consistently. “I get a call nearly every day from a school district—especially during July, as school districts are trying finalize their teachers—[that is] looking for a physics teacher,” said Tiffany Neill, the director of science education for the Oklahoma education department. Michael Marder, a co-director of UTeach, a STEM teacher-preparation program that operates out of 44 universities, said upping the physics-teacher pool has proven tough. “Increasing the number of math and biology teachers has persistently been easier than raising the number of physics teachers,” he said, adding that only computer science has been more difficult. Yet, at the same time, there’s evidence that student interest in the subject is growing—perhaps partly because of the recent nationwide push to get more, as well as more-diverse, students interested in STEM. Data from the American Institute of Physics show that enrollment in high school physics classes has gone up significantly since 1990. About 39 percent of students now take physics in high school. That’s still far behind biology, though, which nearly every student takes before graduating. Low pay is among the culprits for why it’s so hard to find teachers. “Many teachers who are teaching physics in public high schools are being offered positions in career-tech schools or business and industry that can pay more,” said Neill of Oklahoma’s education department. But pay alone doesn’t explain the physics-teacher shortage, since math, biology, and chemistry teachers could also up their salaries outside of education, and yet there are many more of them in schools. Another major factor is that universities simply aren’t churning out very many physics majors—and of those who do get a physics degree, just a fraction will end up going into teaching. 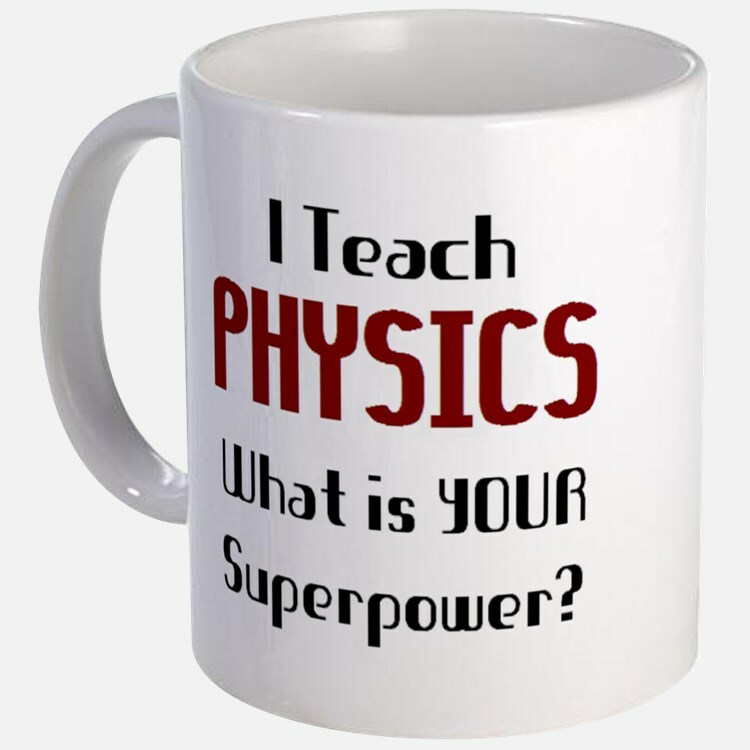 That’s despite the fact that the American Association of Physics Teachers says a new physics teacher needs an undergraduate major or minor in the subject to reach an “acceptable” minimum level of preparation. Then when funding gets tight, small classes can end up on the chopping block. “As schools introduce budget cuts, that becomes low-hanging fruit,” said Neill. “It’s a cyclical problem,” said Brewe.